This show was broadcast on January 22, 2013. 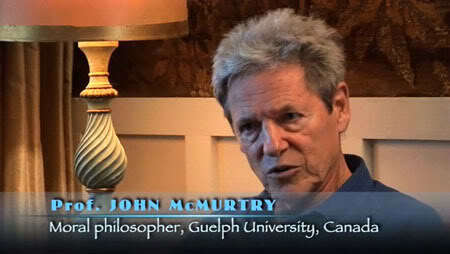 John McMurtry, Professor Emeritus of Philosophy at the University of Guelph, Canada, was one of the first and most widely-heard voices questioning the official version of 9/11. He was savaged by the neocon media and his university was deluged with angry letters from brainwashed morons – exactly what happened to me at the University of Wisconsin a few years later! Prof. McMurtry’s new essay “The Moral Decoding of 9-11: Beyond the U.S. Criminal State” (published, in an abridged version, by the Canadian Charger) promises to be one of the major statements on the significance of the 9/11 false-flag event. 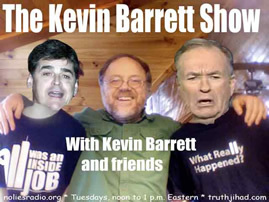 This entry was posted on Tuesday, January 22nd, 2013 at 8:47 am	and is filed under 9/11, False Flag/Fake Terror, Freedom, Justice, Kevin Barrett, News, Protest. You can follow any responses to this entry through the RSS 2.0 feed.